Support our music program by purchasing any of the following products or simply by making a donation! 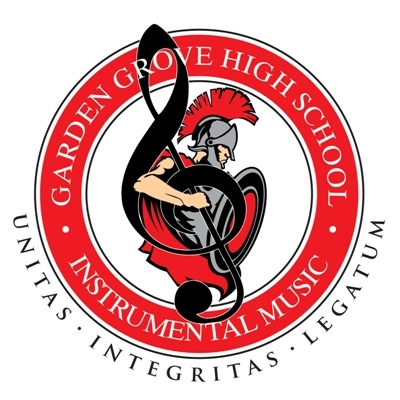 We, the Garden Grove High School Instrumental Music Department, strive to achieve musical excellence. Through our unity and passion for music, we seek to inspire future musicians and impact the community. Students will learn self-discipline, teamwork, and integrity so that they can recognize their full potential. We will continue the Argonaut legacy of "Pride, Performance, and the Pursuit of Excellence." SHOP ON AMAZON? USE AMAZON SMILE AND A PORTION OF YOUR PURCHASES WILL BE DONATED TO THE NON-PROFIT OF YOUR CHOICE! SELECT GARDEN GROVE HIGH SCHOOL MARCHERS AND MUSICIANS BOOSTERS AFTER LOGGING IN AT SMILE.AMAZON.COM! THEN, SIMPLY MAKE SURE YOU ARE ON SMILE.AMAZON.COM INSTEAD OF THE REGULAR AMAZON.COM EVERY TIME YOU CHECK OUT, AND WE WILL EARN MONEY AUTOMATICALLY! Contact a Music Booster board member if you are interested in helping by volunteering or by donating money, food, or supplies!